These were the words of Mr Ahmed Abdullahi, Director of Banking Supervision of CBN at the last April Bankers’ Committee Meeting in Lagos while briefing the press on the endless forex interventions by the apex bank. According to him, the apex bank has restored confidence at the forex market with several forex windows. investors to come in and trade their forex at a price that they consider appropriate. With the present convergence of the rates, confidence is going to be rebuilt. In order to build confidence further, that is why we have this window to allow inflow of forex,” Abdullahi added. The question now is when will the intervention end? Is it going to go on ad infinitum? The CBN, Spokesman, Mr Isaac Okorafor, thinks so. For he believes that “forex activities by monetary authorities do not necessarily have a terminal date. They go on as long as there is need to stabilize the market”. But Dr Obadiah Mailafia, a former Deputy Governor of CBN, believed that it should not continue for ever. According to him, CBN is “trying to reach a point where speculators will have confidence in the economy. But the rate we are going it is no longer affordable. It cannot continue forever.There is lack of confidence in the economic policies of the country. That is the cause of the speculation of the dollars. We need to have confidence in the economy. As long as there is no confidence in the economy, there will always be speculation on the dollar. Professor Pat Utomi, a political economist, in his views believes that the series of interventions should help grow some targeted sectors which should be given time to grow, they should become capable of generating foreign exchange for themselves. According to Associate Professor, Department of Banking and Finance, Nasarawa State University, Uche Uwaleke, CBN’s intervention and rationing of foreign exchange is very vital because of the economic challenges we are facing as a nation. “That is our only option because there is a huge mismatch between demand and supply of forex. Demand is averaging about $4 billion but supply from CBN is about 1 billion and so under such circumstance, the apex bank has no option than to ration forex and create special windows for the critical sectors of the economy. That is the way to go. But on when this intervention will end and things return to normal, it is difficult to say because we have not diversified our economy fully enough to have multiple forex earnings. We are still dependent on oil about 90 per cent and yet oil price crashed few days ago. It is now around $47 per barrel close to what our budget was estimated on. It was over $50 a barrel few months back but has come down. It’s a very volatile sector. But we have a three-year Economic Recovery and Growth Plan (ERGP) and it is when we see the success generated before we can say CBN should not ration or intervene in forex issues. Until the economy picks up and runs progessively, CBN has to come in. Again floating the naira at this point is suicidal. CBN should not think along that line for now. And even in developed climes, most countries’ Central Bank still have a measure of control in forex issues. Other financial analysts reason that the terminal date of the intervention may depend on how much foreign reserves the nation commands. They postulated that the nation’s reserves have to attain $35 billion to make the Naira ripe for such initiative. He stated: “A study by Tule et al (2015, which sought to determine an optimal forex reserves for Nigeria, established a minimum core foreign reserves level of US $32billion(being equivalent of 7.2 months of import). “The International Monetary Fund ( IMF) recommends three months of import cover as a minimum benchmark for reserves”. Commenting on this recently, Rislanudeen Mohammad, the former Managing Director of Unity Bank Plc said: “Ideally when CBN reserve is growing due to improved oil exports both in terms of volume and price, naira should be revalued not devalued as CBN will have increased strength to deal with forex demand”. But the series of intervention has seen the nation’s reserves plunging from over $29.613 billion at the beginning of this month (June) to $29.496 billion by June 16. This notwithstanding, Okorafor assured the nation that the apex bank’s commitment to providing enough forex for legitimate business remains unshaken, adding that it would do everything possible to ensure the steady supply of forex to the market. Monthly dollar demand by end users was sometimes put at $4billion. But CBN doubts this, saying that much of the dollar demand seen at the forex market early this year had been a bubble created by speculators and hoarders of the greenback. This was because most banks could not absorb the amount the apex bank offered for sale. Experts have been pouring encomiums on CBN for these interventions. “I will like to thank the Governor of the Central Bank, Mr Godwin Emefiele and his team for the bold and laudable policy directives given in recent times to jump start the Nigerian Economy and reactivate liquidity in the FX market. This not only provides hope for businesses all around Nigeria hereunto incapacitated by the constrained liquidity of the FX market; but also shows clearly a roadmap to bringing the country back as an investment hub of the financial world”, he said. But Mr. Temi Popoola, the Managing Director, Rencap Nigeria, disagreed with Wigwe, saying lack of confidence was the reason many portfolio investors shun Nigerian forex market. “Today, for the foreign investors, CBN has made it easy for you to buy and sell, come in and go out at any rate that you think is the best.However, for people who are able to wait and the waiting period is not that long and buy money from the central bank, you can actually get orders from CBN now with minimal force. This time last year, we were talking about backlogs. And at that time, various estimates put between $4million and $10 million as the backlogs of trade transactions that have been opened by the central bank, either by customers or even airlines in Nigeria that have Naira and couldn’t repatriate or companies that have declared dividends and could not repatriate or companies that had the Naira but could not buy Dollars. And many people who could not buy PTAs; who could not pay for school fees.People couldn’t get access to Dollars. But things have changed now. The question now is, do you have Naira to pay for the Dollars that are being allocated to you? Things are changing a little bit. We are at the end of Dollar scarcity period.The demand for Dollar itself has come down;the backlog has almost been eliminated.So I would say do not panic. 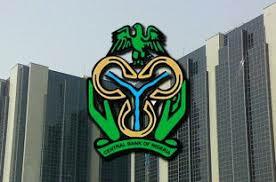 But Mohammad expressed his reservation, saying that the CBN rate is not market driven, but arbitrary, “not realistic and has only helped in providing conducive atmosphere for round tripping and arbitrage”, adding that “that is why you saw the black market rate widening as naira remained under constant attack by speculators and rent seekers. Tackling critics of the apex bank’s forex policy recently,its Governor, Mr Godwin Emefiele, recently gave assurance of its willingness, determination and capacity to meet all legitimate foreign exchange demands. He explained that variants of this policy have proven to be highly effective in other climes and even in Nigeria. “For example, throughout the early days of South Korea’s economic renaissance, the government intermittently used excessively stiff tariffs, quantitative restrictions and prohibitive inland taxes to effectively ban many items with potential for high imports, and simultaneously, offered generous and subsidized loans to firms for export promotion causes. In fact, at some point, about 93 percent of total imports into South Korea were subject to one or more such restrictions. On what could be done to assist the nation get out of the endless intervention, Uwaleke said: “Well-coordinated fiscal policies should be deployed to pursue import substitution and enhance the competitiveness of local production with a view to curtailing forex demand. On the supply side, the government should fast-track efforts to improve the ease of doing business and the state of infrastructure in order to attract foreign investments as well as develop multiple streams of earning foreign exchange.